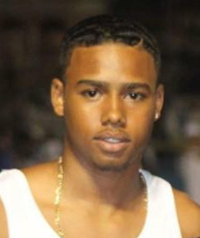 It is with great sadness that we announce the death of Mazhye Akeen ‘Muzzy’ Burchall, beloved son of Keenan J. Burchall and Quinika C. Hunt-Shelton [Eric]; beloved grandson of Jennifer Burchall, Kingsley Burgess,Weldon Hunt, SaraVega [nee Claire Darrell] in his 21st year of 13 Berry Road, St. George GE 04. A service celebrating Mazhye’s life will be held at the Astwood Park, South Shore Road, Warwick on Sunday, September 23, 2018 at 4:00 p.m. Interment will follow at St. Mary’s Cemetery, Warwick. Visitation: Relatives and friends may pay their respects Saturday evening, September 22nd from 7:30 – 9:00 at AMIS Memorial Chapel, Khyber Pass, Warwick. Also on Sunday afternoon, September 23rd at AMIS Memorial Chapel from 2:00 – 3:00. Great Grandparents: Mary Louise Parris, Eva [late] & Delbert [late] Hunt, Sinclair Edward Darrell [late], Patricia Daniels [late]. Uncles: Kingsley, Jahkito, Javon and Nakia Burchall, Quincy Hunt, Seward Smith. Aunts: Juanae Vega, Dymond Darrell, Christi Burgess, Danielle Dublin. Great Uncles: Nelson Hunt, Shirley Hunt, John Sherwood Hunt [late], Randolph, David and Quillan Hunt, and Ahijah Wilson. Great Aunts: Linda Lottimore, Sandra Matthews, Mary-Ann Pascua, Sharon Rea and Janet Conner. Numerous special cousins, godparents, family and friends.